©2014 Blue Ridge Life : Photo Courtesy of Danny Watson – Wintergreen Hardware : Light snow fell across parts of the Blue Ridge Tuesday night. 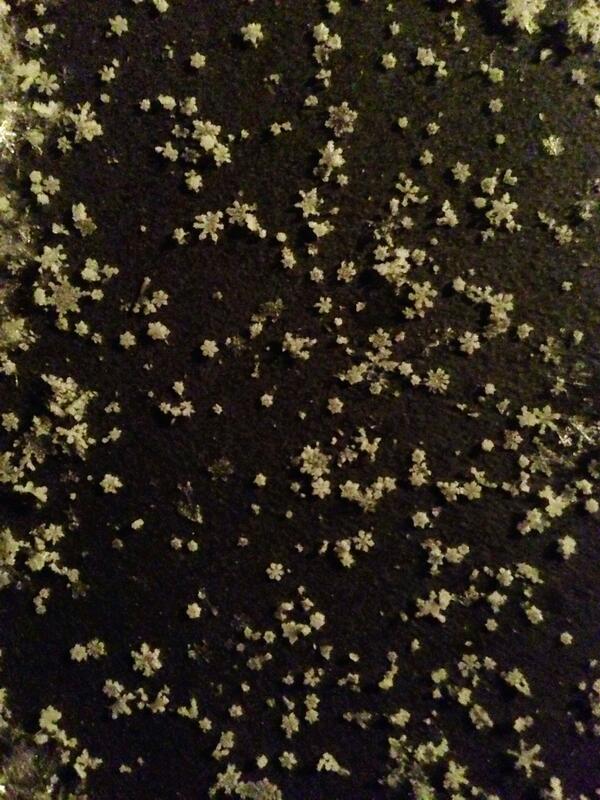 The shape of these flakes could be seen perfectly! Click photo to enlarge. By far the worst snowfall and wintry weather was along the souther tier of the US. But we managed to get some very dry snow here across the Central Virginia Blue Ridge in spots. Anywhere from a dusting to an inch or so was the norm. Since the air was so dry we got some pretty perfectly shaped flakes as Danny Watson captured in the photo above. Yep. That Was Snow You Saw Falling Wednesday!